When it comes to fashion trends, ready-made is not always the answer. And we can see every fashionista out there nodding in agreement. It’s an age of customization, so why try and fit into off-the-rack outfits when you can go for their tailor-made counterparts? A talented designer and the right pieces of fabrics are all you need to sport getups that are seriously runway-worthy. While you keep looking for the best designer in town, we’ll tell you where to find the best of fabrics. Welcome to the wholesale cloth markets in Delhi, a city where people wear their clothes and attitudes right! The wholesale cloth markets in our National Capital have a lot to offer when it comes to soulful shopping experiences. From casual denim to wedding clothes to dress materials for daily and office wear, these bazaars have it all. We recommend that you get an empty suitcase as you go raiding this raiment paradise. 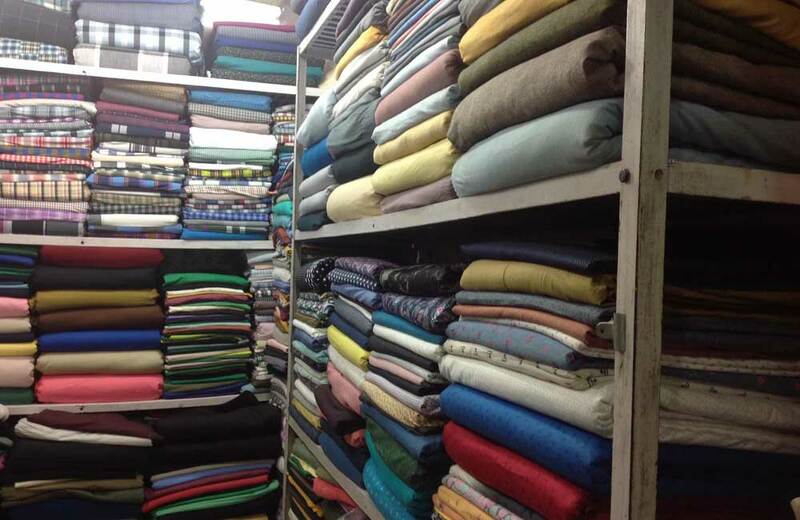 So, here’s to you a list of top 10 wholesale markets in Delhi for clothes. This kapda market, which is also known as Lajpat Nagar Market, makes every shopaholic’s eyeballs pop at the sight of colorful fabrics with intricate designs that are innovatively rolled up on display racks. The rates are unbelievably affordable considering the variety of textures, hues, and unique prints available here. Being one of the largest markets in Asia for clothing materials, accessories, readymade garments, and Indian and ethnic wears, Central Market is often labeled the cheapest clothes market in Delhi. If you are looking for a wedding outfit, this is where you will find a fine range of materials, flashy borders, embellishments, and add-ons, all at reasonable prices. There are many tailoring shops in and around the market that will stitch these garments for you. So that’s another problem solved! Located right at the heart of the metropolis, this wholesale fabric market in Delhi offers a gamut of fabrics spun in the rarest of materials, with designs that are visually enchanting. It is not a sin to get a little materialistic here, really, because the artistic exuberance of this place keeps it buzzing with shoppers all year round. Whether it is summer, winter, monsoons or fall, Shankar market has got all the fabric that you need to spruce up your looks. From simple cotton materials with even simpler patterns and the quintessential Indian handloom items to gorgeous georgette, silk brocades, laces, and sequins, the market offers everything to dress you up in the best. You might find the prices a little on the higher side, but worry not; we suggest you use your haggling skills to take home some amazing fabrics and materials. You can buy apparels of renowned brands like Zara and Mango at one fourth their original prices only in your dreams. 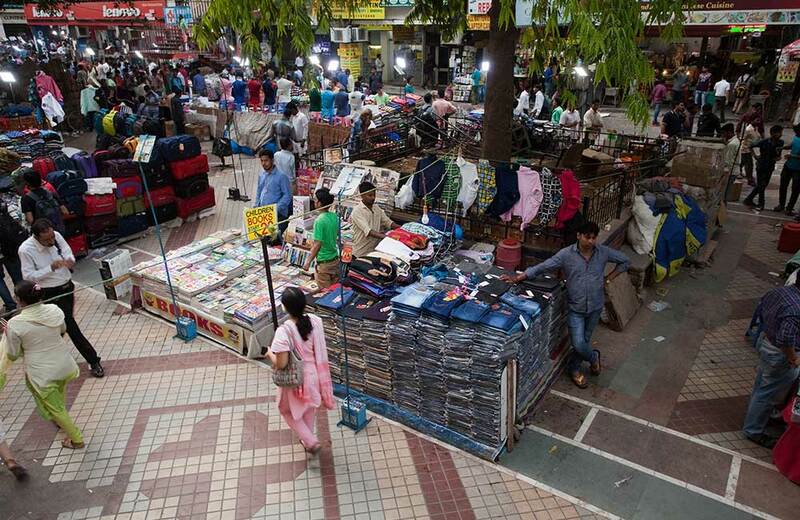 Or so you think till you visit Sarojini Nagar Market, another major shopping hub in our capital city. If you are looking for wholesale markets in Delhi for Western clothes, this is where you must be shopping at. 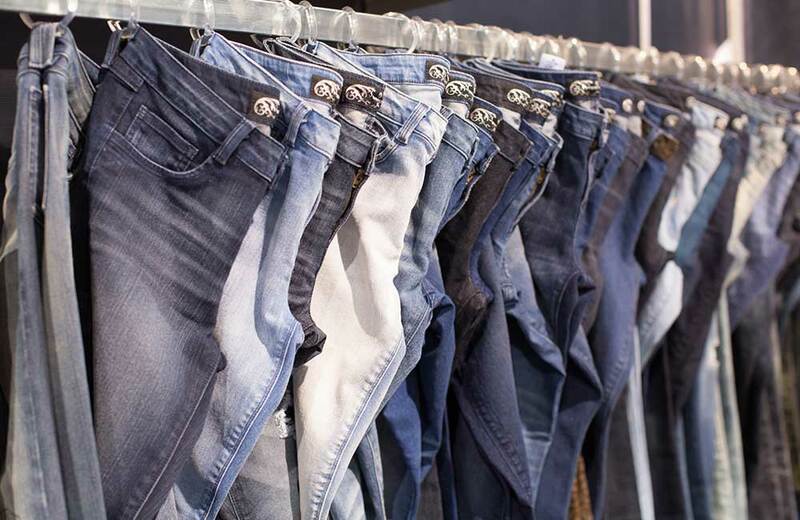 High-quality garments from some of the most celebrated brands are sold at ridiculously cheap prices here, which is why this place is touted to be the best among the readymade wholesale markets in Delhi. From jeans, shorts, and cargos to jeggings, leggings, and palazzos, you can take your pick at the street-sprawling shops and match them with designer tees, tops, camisoles, jackets, and shrugs. You could also accessorize with the amazing fashion merchandise that is being sold here. After long hours of spending and splurging, how about binging on some mouth-watering food at one of the many food stalls in the market? A plate of steaming momos, maybe? With a glass of piping hot tea? The busy and bustling shopping streets of Chandni Chowk offer a treasure trove of amazing fabrics and clothes to shopaholics of all ages. This is Delhi’s wholesale bazaar that never fails to impress visitors with the variety that it has to offer. One of the oldest wholesale cloth markets in Delhi, the place has many alleys specializing in different types of fabric, from printed cotton, silk, and chanderi to materials for men’s outfits, upholsteries, and curtains. The Katra Neel is a great garment alley where the air is filled with noises of bargaining vendors and buyers. You can also check out Kinari Bazaar, especially if you are looking for laces, georgette or gorgeous zardosi cloths. While you are in the area, you can also indulge in some lip-smacking street food of Delhi. If you are a handloom and cotton aficionado, then this place will leave you spoilt for choice. When you are in the capital city, this is the go-to destination for cotton, crepe, silk, synthetic, georgette, chiffon, and other hand-woven fabrics. You will find fabrics for all budgets and occasions here, especially for custom-made garments that you would want to stand out from your usual off-the-rack clothes. Buying fabric in bulk works out cheaper here and the quality is good, something that fashion lovers always wish for. Remember to visit HP Singh, the most prominent store in the market. This wholesale market is located close to some of the popular hangout places in Delhi. Those who may be interested in places to visit in Delhi where you can hang out with friends combined with some shopping, Nehru Place offers just that. 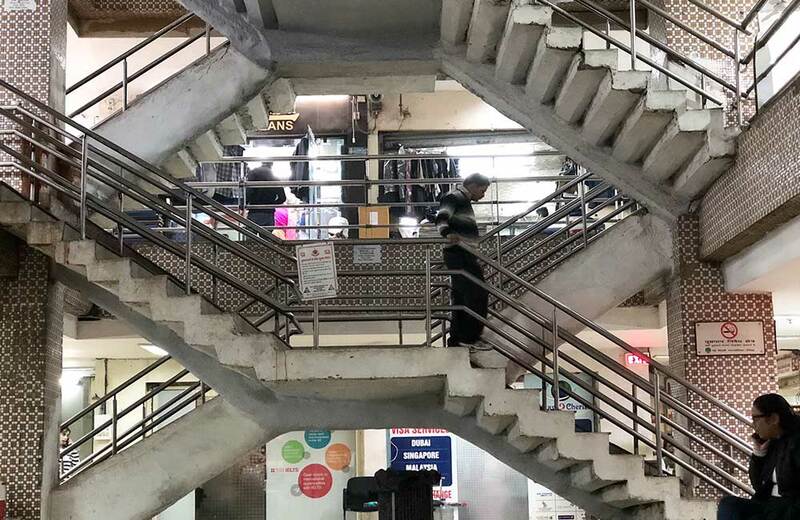 Fabric customizations and rework are gracefully done at this wholesale market in delhi for clothes where fabrics of all kinds keep flowing from different corners of the nation. The eclectic and innovative designs and patterns found here make dressing up an indulgent affair. Many branded fabric stores and designer labels can be spotted here. However, the place is best known for unstitched suits with block prints being customized on the fabric of your choice. Silk, Ikat, satin, sheer, you name it and the place has it all. 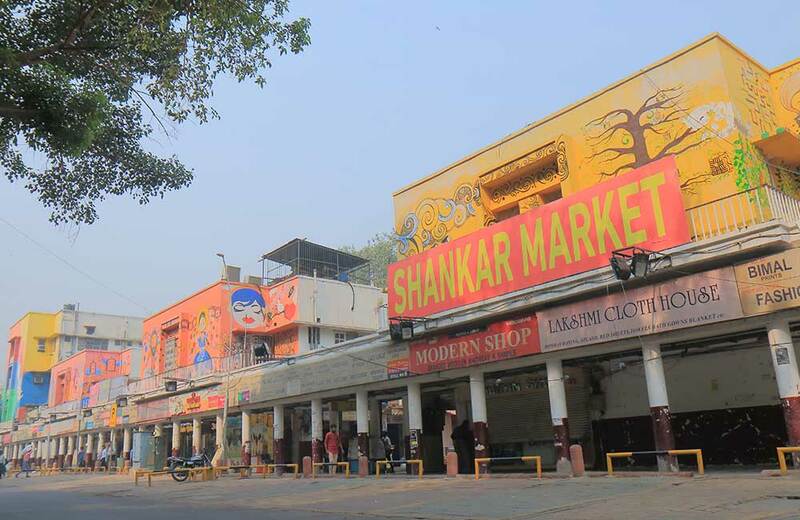 Meherchand Market is one of those budget-friendly shopping areas in Delhi that will definitely leave you and your wallet feeling happy. This is where all the millennials and college students love to shop till they drop. The affordable prices, exquisite fabrics, and the buzzing atmosphere at Connaught place, where this fabric paradise is located, all make Mohan Singh Place a prominent name in Delhi’s wholesale market scene. Here is where you can add any designer label of your choice to the fabric of your liking and walk around like the Bawse. Sounds a little scandalous, right? 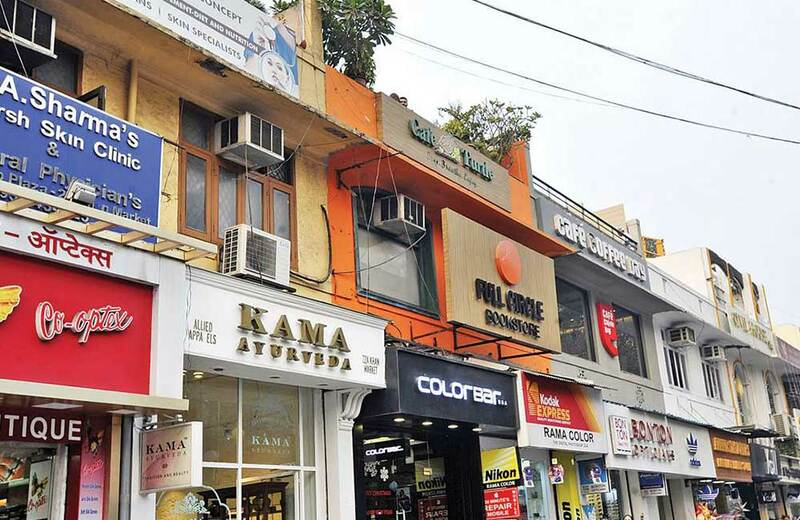 Karol Bagh is another fabric stop where the hues, colors, textures, designs, and quality pave way for fashionistas to explore their vogue quotient endlessly. The zari work at PS Zariwala, handwoven marvels at Handloom Fabrics, cotton prints at Khurana Store and Cotton Fabric Wholesalers make the Indian fabric fare outshine any other in the world. The summer prints you find here with the moisture-wicking property are to die for. The fabric collections get sold out like hot cakes as soon as they hit the racks, so hurry up if you happen to be shopping in Delhi! This wholesale cloth market in Delhi, spread over the narrow lanes of Seelampur, houses hundreds of shops that sell export fabrics of all kinds and hues, from denim and corduroys to rayon, jute, georgette, and everything in between. This is also a great place to shop for designer borders, buttons, threads, add-ons, and other embellishments. Be warned that navigating through these lanes can be a little tiring, but the shopping experience and great deals will surely make up for it. K.K International Voli Prints, Nandi Fabrics, and Jain Sales are among the prominent names here. And the best part? You will find people selling fabrics not by meter but by weight, so don’t forget to bring that big bag to take your ‘happy load’ home. An account of Delhi’s wholesale cloth markets can’t be deemed complete without a mention of Gandhi Nagar Market, where you’ll find clothes priced as low as INR 20. Don’t believe us? 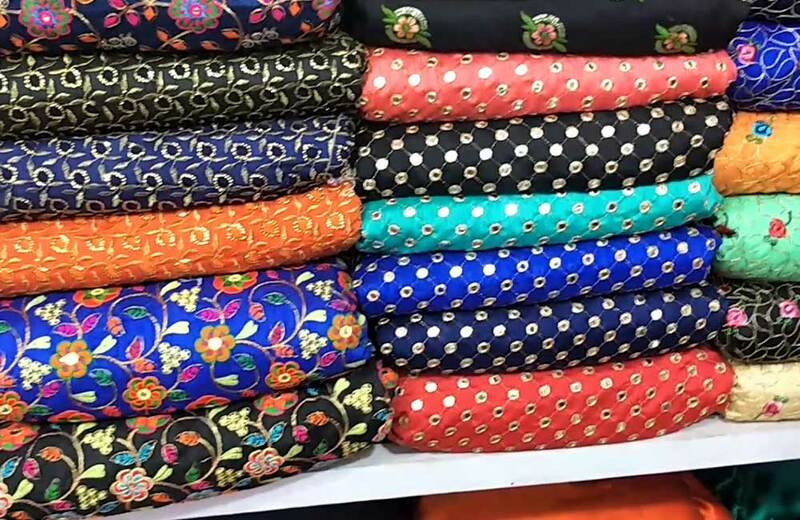 Visit this buzzing place that houses a good number of shops selling everything from designer blouses and shirt to kurtas, suits, and dupattas, among others. 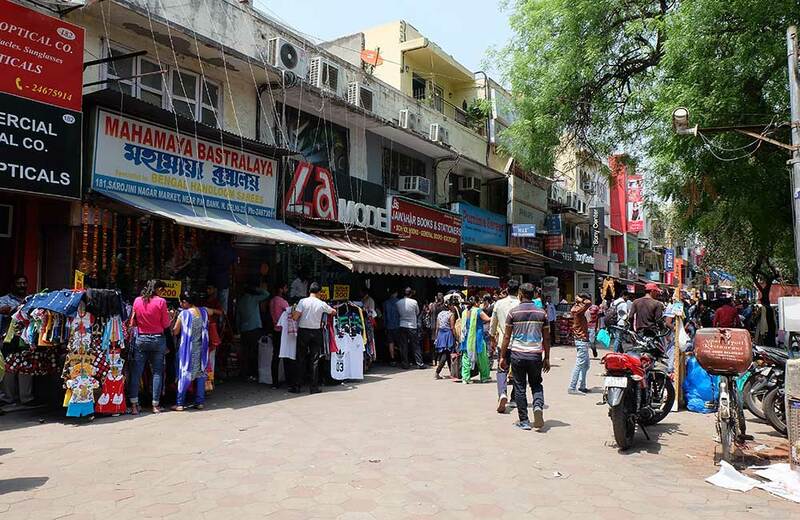 Gandhi Nagar Market is touted to be one of the largest markets in the country, probably in entire Asia, that sells readymade garments at wholesale prices. This also means it’s really hard to find stores that would sell you just one shirt or suit. Bulk is the buzzword here! 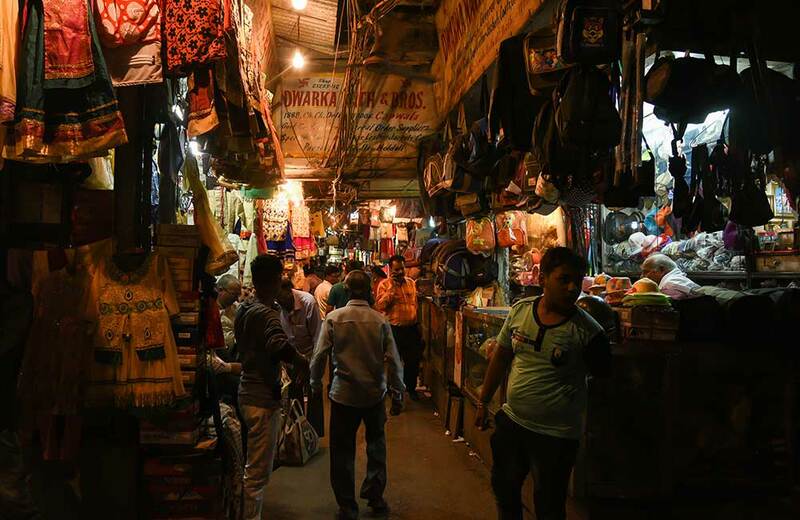 Besides these wholesale markets, you can check out some of the popular shopping places in Delhi where retail therapy is at its best. 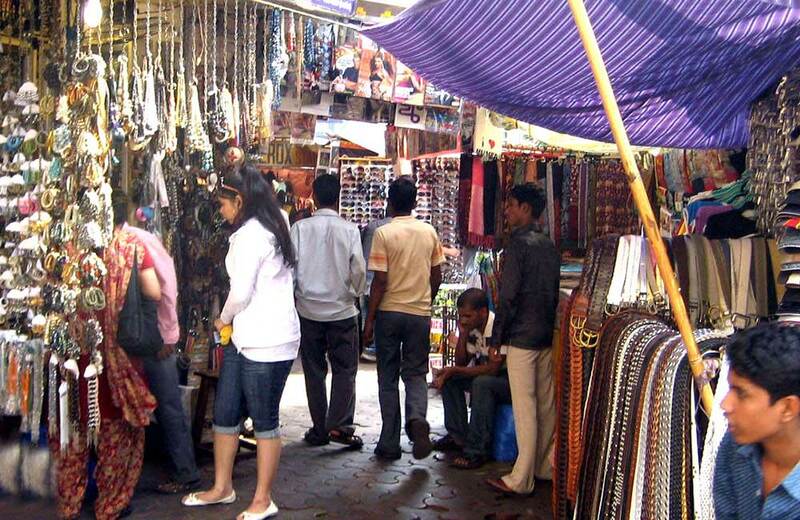 Delhi is indubitably a shoppers’ paradise with its street stores and vibrant wholesale markets. The thrill of bargaining, the madness of making the best selection, the satiating slurp of chilled drinks after a day’s long toil of shopping, and above all, the heartfelt satisfaction of having owned the best fabrics – ah, heavenly, isn’t it? The sun may go down, but the shopping spirit never does in these wholesale clothing zones of Delhi.